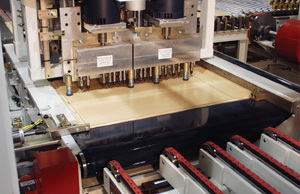 Automated Drills for Kitchen Cabinet, Countertop & Closet Storage for the Woodworking and Related Industries – Creative Automation, Inc.
Creative Automation's custom designed automated drilling equipment, including feed through, is available for producing a wide array of products including those on this page. Storage cabinet panel drilling and routing. 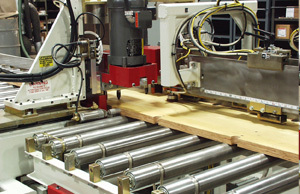 Concrete form drilling and routing. 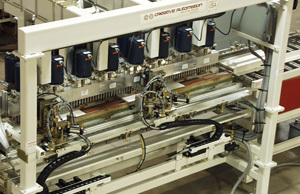 Servo-driven drill in a kitchen cabinet panel manufacturing cell.